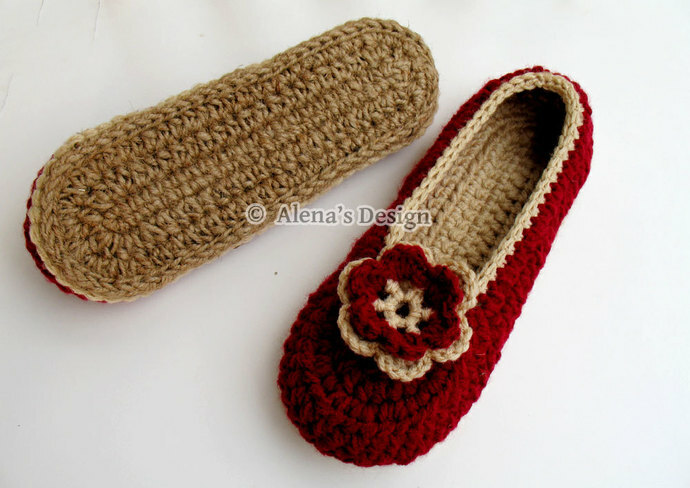 These Slippers look attractive, stylish, extremely charming, and their beauty is enhanced by the addition of the flower on top of the slipper. 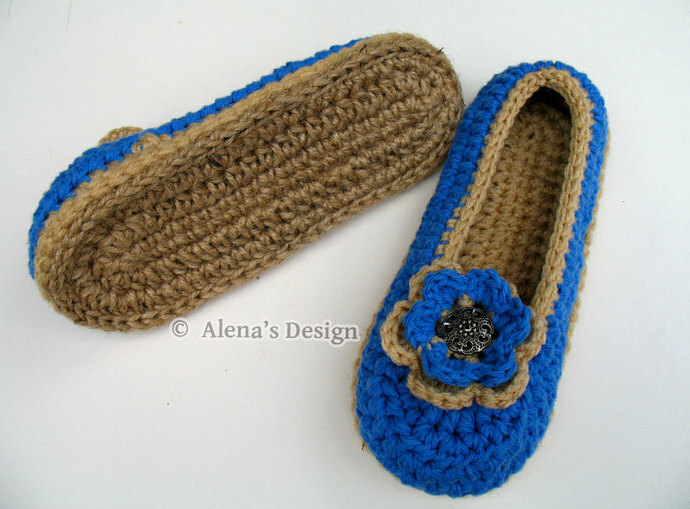 Also the Slippers are made with two soles: yarn sole and jute sole. 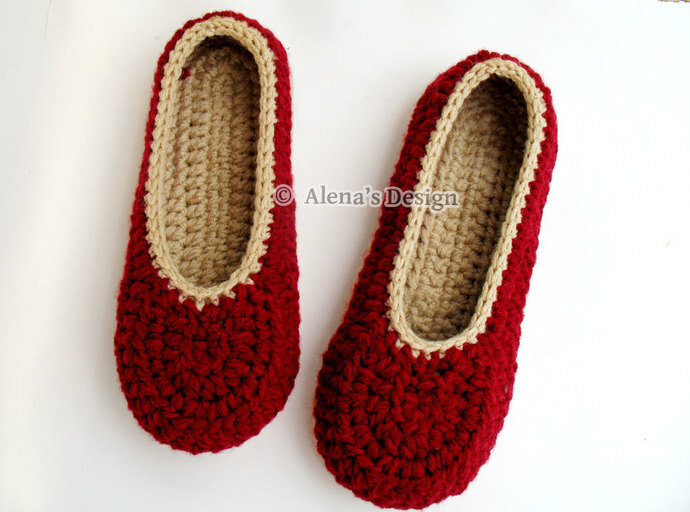 This makes the bottom of your Slippers much more durable and flexible. 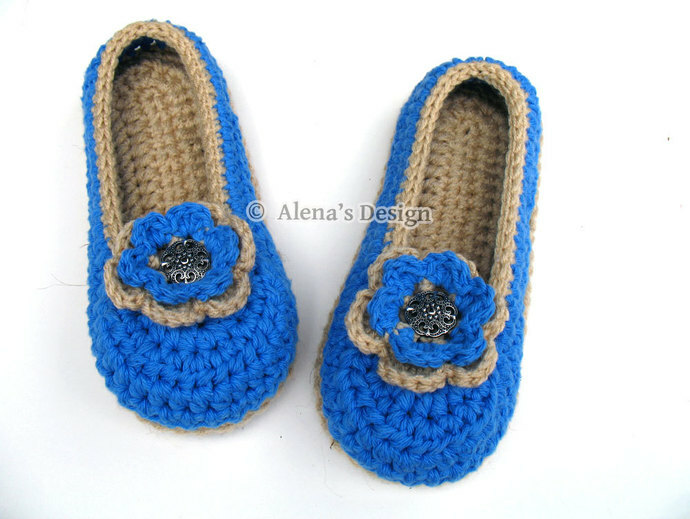 You will need jute cord or jute twine which can be purchased at Walmart, other craft stores, and online. Although primarily made for indoor use, they may also be worn outdoors.